BlackBerry Playbook will sell for under $500 | BlackBerry Blast! According to Bloomberg, Research in Motion will offer their upcoming tablet, the Playbook, for under $500. The company looks to be coming in below Apple's $499 iPad price. It makes sense for RIM to undercut Apple's price given the fact that the Playbook is a smaller device. 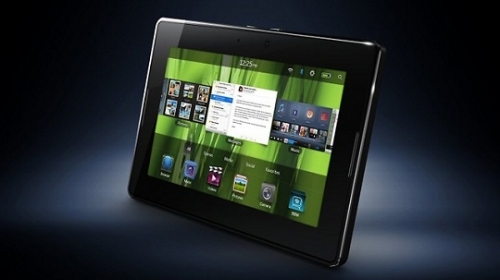 Supposedly, the Playbook will be released in Q1 2011. RIM continues to dribble out the news on the Playbook rather than simply letting a few reporters play with a prototype. The world has not seen this device in action and it seems like RIM is just trying to stay relevant by releasing tidbits of information on the Playbook, rather than actually having a demo unit for someone to play with. Bloomberg reports that RIM may sell the Playbook through retail stores of Target Corp. and Best Buy Co. Stay tuned.